It is the Chinese unique big tropical ocean province, the natural resources have the abundant advantages, the heavy romantic feeling national minority, the economic special area insist to open and reform, make the delicacies of Hainan express a several big characteristics: First, it is fresh; second, it is natural; Third, it is unusual; fourth, it is abundant. If eat seafood in Hainan, you can eat the swimming fish, the walking crab, the fresh shell and the jumping shrimp. The seafood of Hainan Island is caught up from the south Chinese waters, so they are pollution free. It is the ocean animal that lives in the shallow waters of the tropical zone or subtropics, is the best in shrimp. It covers with the armor, still has two long touch whips, is beautiful and dominant. The Hainan produces a few of kinds of lobsters, they are in the coconut trees in the east suburb of Wenchang, visitors can choose the lobsters in the net of the farming, taste the delicacy immediately. The lobster is a valuable food. Its meat is soft, slippery and fresh. In Hainan, people eat the lobster raw with mustard and adjust to anticipate mostly, and use shrimp, tail and foot…etc. to cook porridge, they also have the eating methods of frying in oil, exploding to fry and steaming. 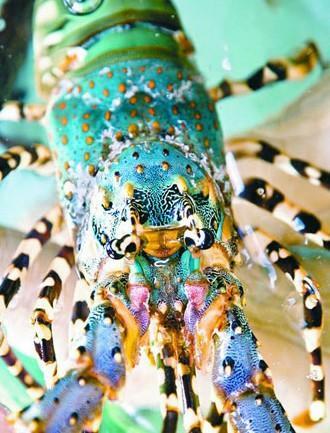 Lobster, prawn and greasy back shrimps form one clan of main courses of delicate Hainan dishes.